For those of us who choose to partake in the Mount Everest-like challenge that is the New Year’s resolution, it seems the odds may be stacked against us. Statistically, the likelihood that an individual will keep their new year’s resolution is not something I’d bet the proverbial farm on. 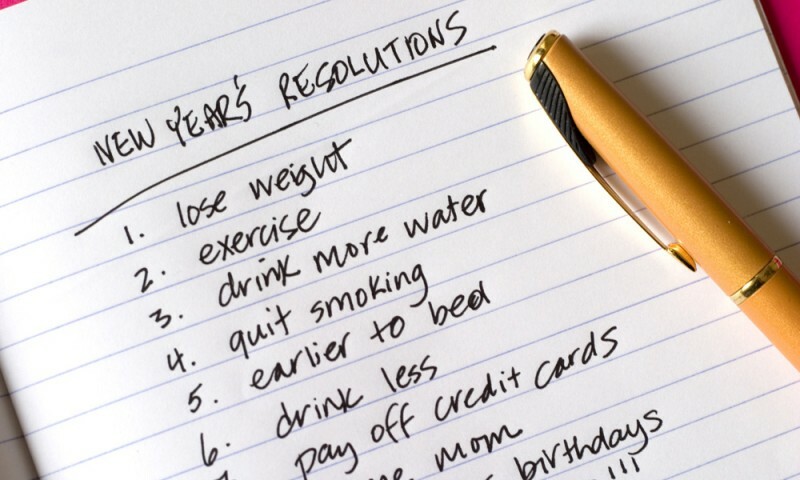 In fact, a study by the University of Scranton found that, while 45% of us make New Year’s resolutions, only 8% of us actually achieve success. It seems that by mid-year more than 50% have failed. So, with that sobering tidbit of information in mind, now that you’ve chosen a new year’s resolution, how do you keep it? Well, whether your resolution is to increase family time, exercise more, lose weight, stop smoking, enjoy life more, save money, take up a new hobby, volunteer, stop drinking or be more patient, here are a few ways that might help you get into the “goal achieved” category rather than that, um, other category that we might call “better luck next year”! (1) Frame it. Seriously, write it down, type it, draw it – whatever you like – just get it down on paper. Then frame it and place it in a prominent area that way you won’t forget about it. (2) Break down your resolution. If your goal or resolution is big, break it down into smaller parts to make it manageable and attainable. (3) Seek support. Make yourself accountable to family, friends, coworkers or even your kids (they’ll love it) and you’ll be more likely to keep your resolution. (4) Accept setbacks. If you break your resolution, get back in the saddle. You have the rest of the year to make up for it. (5) Check in. Set dates to check-in with yourself about your goal(s). I have found that seasonal check-ins work well. Spring, Summer, Fall and Winter are great times to assess how you are doing and to tweak any issues. Additionally, you can set a reminder on your smartphone calendar, write it in your agenda or put it on the family calendar. Hope these ideas will help you achieve success! If they don’t, well there is always 2014!